Please select one option from below priced per person. This amazing 50 foot Hawaii catamaran charter, is flawless in design and splendor. She rides beautifully for a comfortable day on the water. 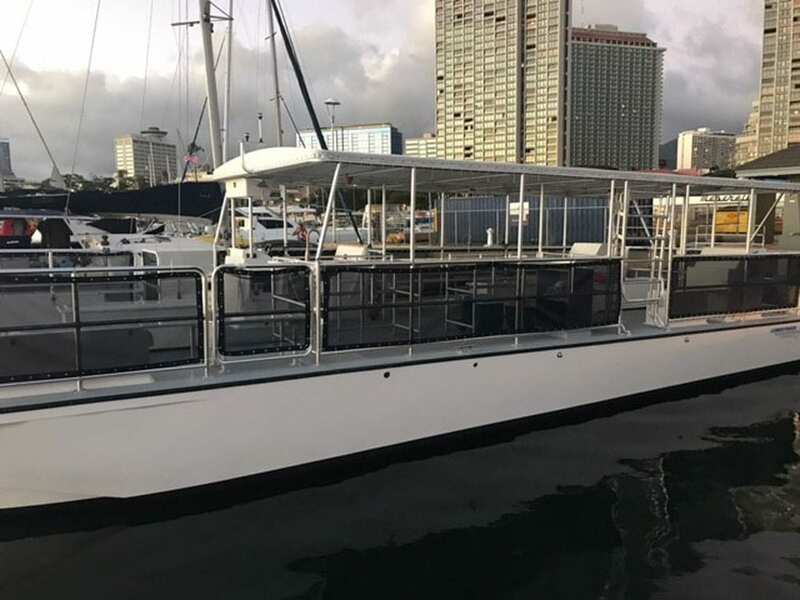 This Hawaii catamaran charter is certified to take up to 49 passengers and has plenty of room for everyone to be comfortable on a full day of sailing. Perfect for visitors with a desire for real yachting in a private setting. 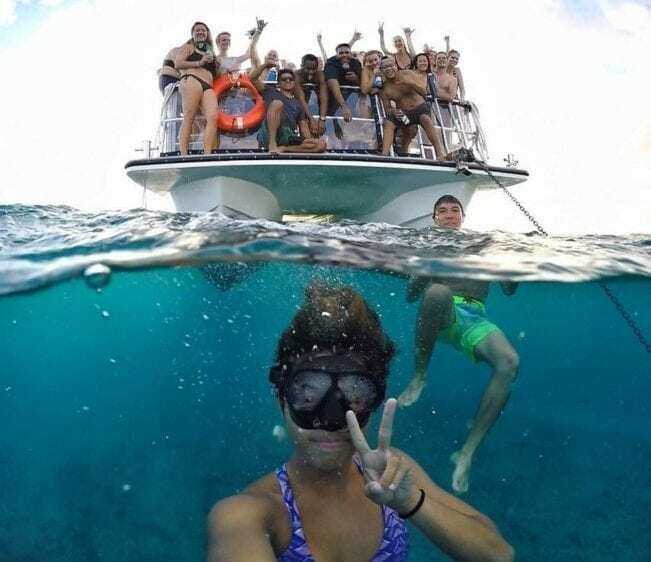 Our luxury yachts are limited to private parties ensuring comfort and no crowds! 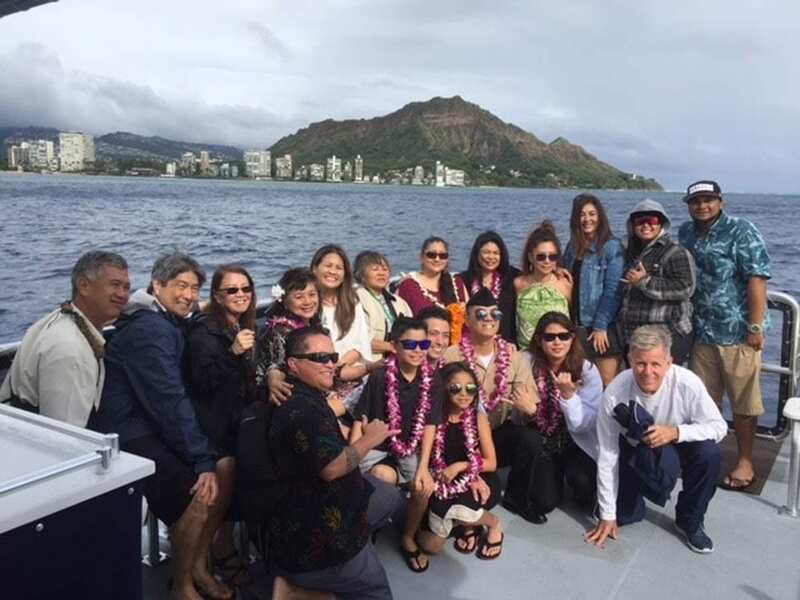 Departure from Honolulu permits guests to enjoy the beauty and excitement of blue-water sailing year-round. 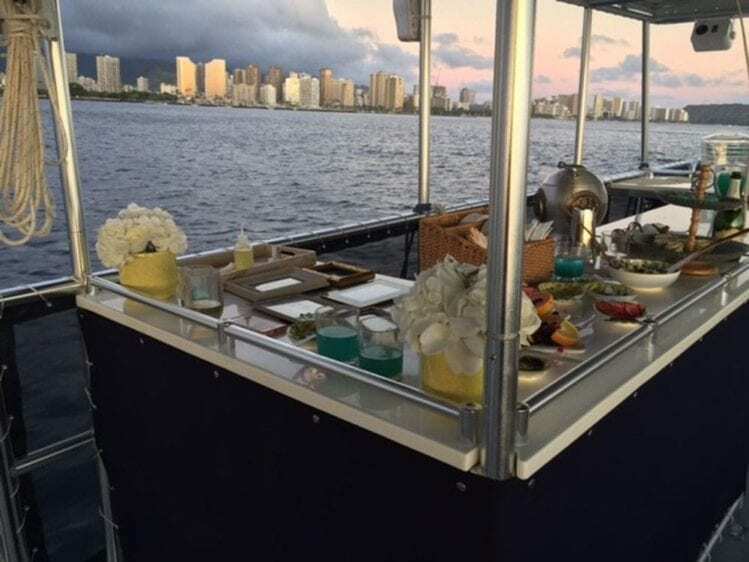 We promise you will have an unforgettable Hawaiian water experience, it is truly a magical adventure! Wether this is your first time on a private yacht charter in Hawaii or your are a local, being out on the water is an amazing experience. Our Hawaii yacht charter is truly worth being part of your time here on Oahu. 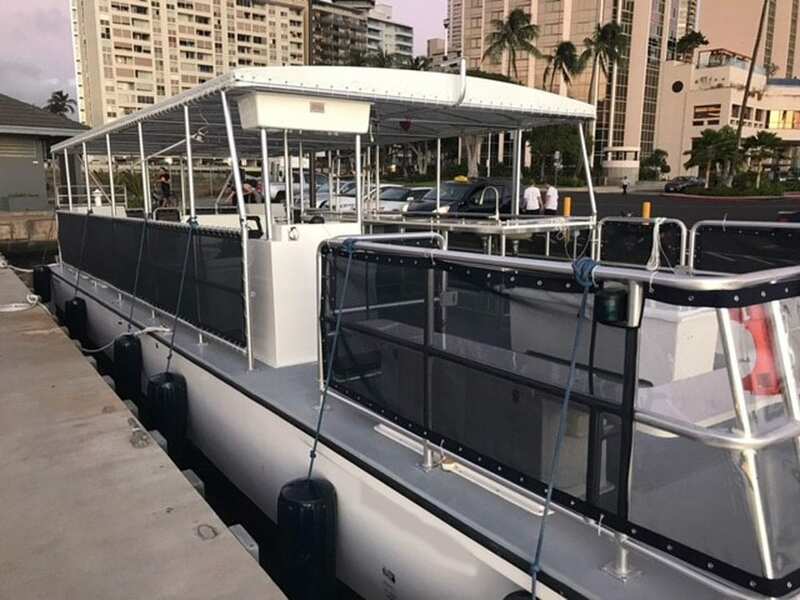 Our Hawaii catamaran charter is one that every visitor should try on their visit to the Hawaiian islands.